For many years, the standard price for a round-trip domestic economy award has been 25K miles for the legacy airlines. This continues to be the case for United, American, and to a lesser extent, Delta. However, there are many alternatives available which allow us to book round-trip domestic economy awards for cheaper prices than this when the flights are short enough to fall under certain mileage thresholds. In this post, we will lay out some of the best options for cheap short-haul award bookings. 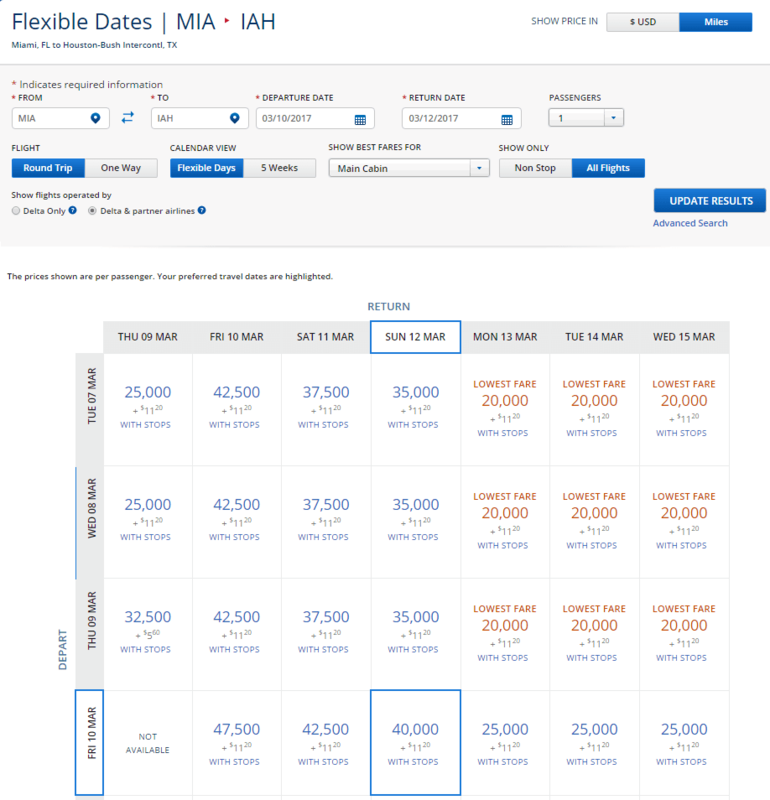 The table below offers a quick reference for the programs that offer reduced mileage awards for short haul itineraries in the U.S. Note that the distance based award charts have multiple tiers so the exact price will be determined by the bracket into which the award falls, which we will cover in more detail below. It may seem odd that the first carrier on our list is a foreign airline, considering that we are talking about short-haul domestic awards. However, British Airways is an oneworld alliance partner, which is the alliance to which American Airlines belongs. Therefore, when you go to book award tickets for flights within the U.S. via British Airways’ Executive Club program, you will see AA flights show up under the partner flights section. Below is British Airways’ award chart. British Airways implemented a devaluation back in October of 2015 in which flights originating or terminating in the U.S. were no longer eligible for the 4.5K Avios price for flights of 650 miles or less. Instead, they effectively eliminated the cheapest price tier for U.S. flyers and combined it with the 2nd tier, which costs 7.5K Avios each way for flights up to 1,151 miles. At a round-trip cost of 15,000 Avios, this is still a 10K mile savings relative to standard roundtrip awards for legacy airlines and is one of the most valuable uses of Avios, as British Airways’ long-haul award prices can be astronomical. In a rare win for travel enthusiasts, Alaska recently announced changes to its award chart that actually increase the value of Alaska miles. They have implemented a distance based award chart for domestic redemptions similar to that of British Airways. Alaska now has the cheapest award flights within the U.S. for flights of 650 miles or less, which start at just 5K miles each way. Booking a flight at this price represents a savings of 15K miles for a roundtrip versus a standard legacy carrier award. Alaska’s route network is more heavily concentrated on the west coast than the other airlines on our list. Therefore, those looking to book short flights from one west coast city to another may want to consider Alaska as their first option when researching award possibilities. Alaska’s award chart for domestic economy is displayed below (note that this includes the state of Alaska, by the airline’s definition). There are price ranges for each award level, as the lowest level awards are not guaranteed to be available. 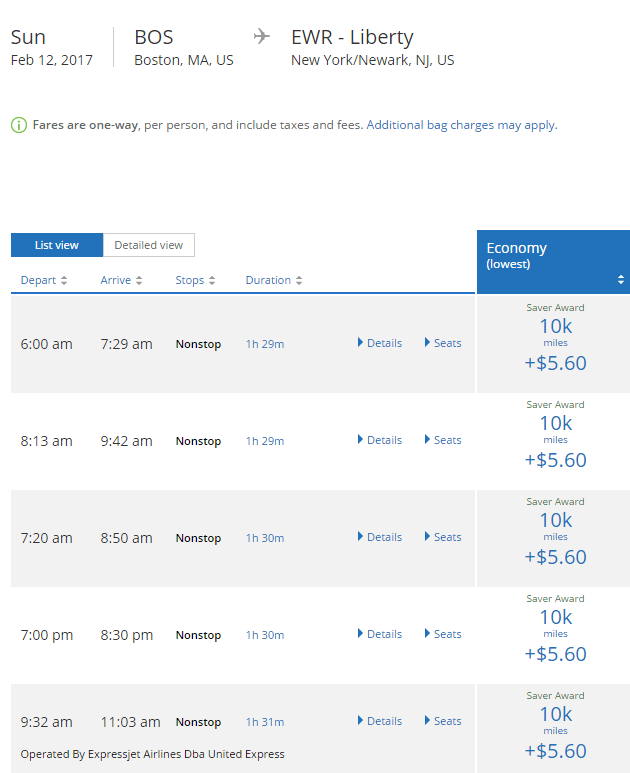 Short-haul award pricing is pretty simple for United. 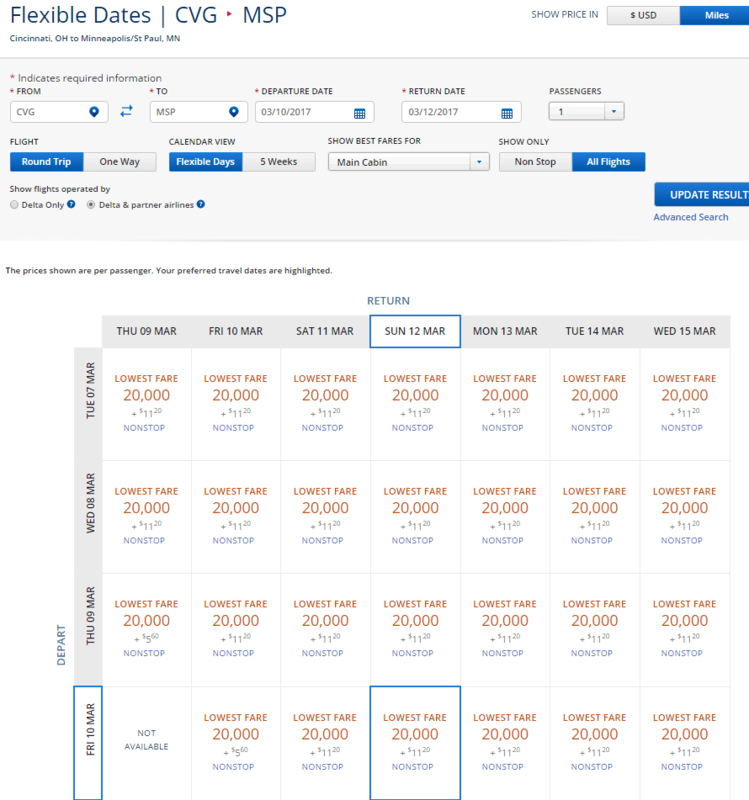 They have a single distance threshold below which discounted awards are available, and any flights above that will price out at the standard 25K round trip price. United’s threshold is 700 miles; any flights of 700 miles or less price out at 10K miles each way for Saver awards. We searched for award availability to see how common saver level awards are for short-haul flights. For a Friday, February 10th flight from United’s hub at Newark to Boston, there were 6 choices at the 10K mile level. For return flights on the following Sunday, the options were almost as good with five flights available at the 10K mile price. Availability is sure to vary from city to city, but this is an encouraging result for a booking less than one month away. Delta no longer publishes an award chart, so we cannot put a precise definition on what qualifies as short haul or what the price for those awards should be. However, they have explicitly stated that flights between select markets will only cost 10K miles each way for the lowest level economy awards. In some cases they offer awards for even lower prices than that. Unfortunately, the only way to know for sure what awards will cost is to actually perform award searches. We have been able to verify low-level award pricing with our award searches. 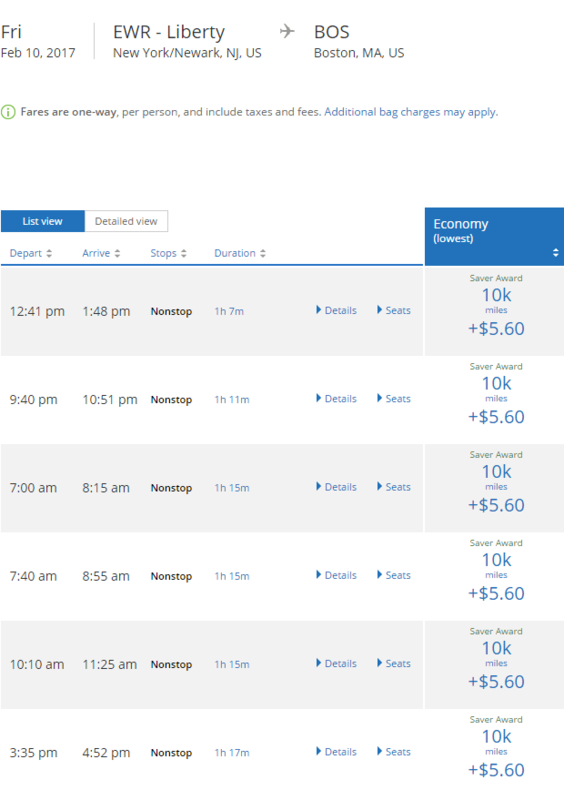 The following screenshot displays award pricing for mid-March flights between CVG and MSP, two Delta dominated cities. As you can see, 20K round trip awards are available in abundance. We expanded our search to some larger markets on an even shorter flight. 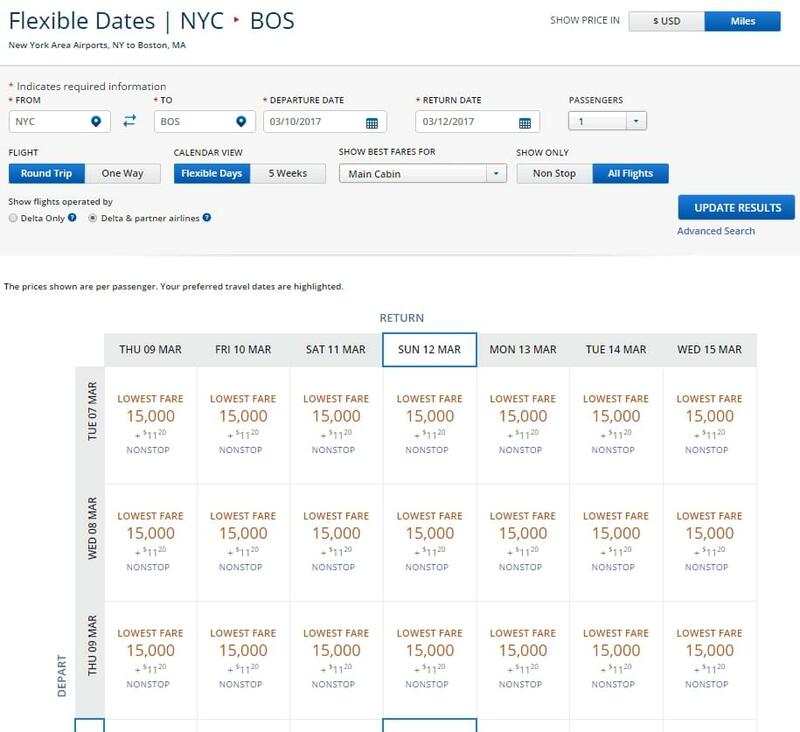 Again using mid-March for the time period, we were able to find a bunch of flights between NYC and BOS for only 15K round trip. After clicking through to select individual flights, we found that awards at this price were available from both LaGuardia and JFK. Next, we wanted to test a route that did not include a Delta hub on either end. We chose MIA to IAH. We were still able to find awards at the 20K round trip price, but this time the results were less consistent, with many days displaying prices of 35K or more for the cheapest awards. We recommend you do your research, but if you see a low-level award on a short-haul that works for you, snag it. Award availability at that rate might not last.